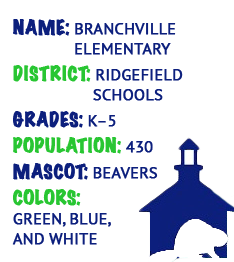 Branchville Elementary School serves the Ridgefield community by educating over 400 students from kindergarten through fifth grade. We proudly employ a dedicated and passionate staff that views their students’ academic success as a partnership between home and school. And we invite you to join that partnership this year. 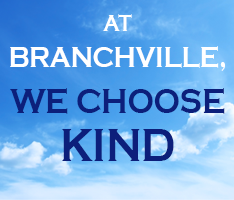 Branchville offers a challenging academic curriculum that conforms to state standards and is supplemented with a variety of extracurricular programs and services that enhance our students’ learning experiences. Our goal is to build an academic foundation that will help students meet future challenges and become lifelong learners. Two-hour delay: *School starts at 10:35 a.m. Three-hour delay: *School starts at 11:35 a.m. Early Dismissal: *Dismissal is at 11:40 a.m.
We will dismiss all students at 11:40 a.m., unless special circumstances dictate an earlier or later time. All children, including regular walkers, children with walker passes that day, religion, scouts, after-school enrichment programs, play dates etc., will go home on their regular bus unless a parent or emergency contact arrives at the office by 11:15 a.m.
We will not release a child to a friend, neighbor, or anyone else if they are not listed as an emergency contact. We will cancel after-school activities or meetings. We will cancel The Boys and Girls Club and Rec Center as well as Stop and Go Depot. Students will go home on their regular bus. We do honor transportation to Almost Home, Children’s Academy, and Children’s Corner if that plan pertains to your child. These procedures are in place to help us account for all students in a consistent and safe manner. Please visit our Attendance/Truancy page to learn more about our policies. The information below will provide you with important details about our school.